Female Arab suspect shot while approaching Israeli security personnel at Tapuah Junction. 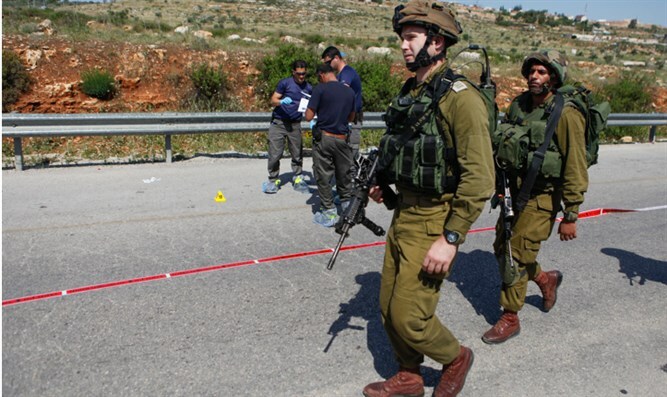 A suspected Arab terrorist was shot at the Tapuah Junction in Samaria Monday afternoon, after she refused calls by Israeli security personnel to halt, Israeli police said. According to a report by a police spokesman, the female suspect approached Israeli Border Police officers at the junction checkpoint, and refused calls by the officers that she halt. After the suspect refused to stop advancing on the officers, the security personnel fired warning shots in the air. When the suspect continued to approach, officers opened fire on the suspect, wounding her in the leg and neutralizing her. “Border police units at the Tapuach Junction in Judea and Samaria responded to a female suspect that approached the area and did not respond to border guards at the scene,” a police spokesman said. There were no injuries reported among the Israeli security personnel. The suspect was treated at the scene, then evacuated to Beilinson Medical Center in Petah Tikva for further treatment.